Click on the image to see where your donations go. 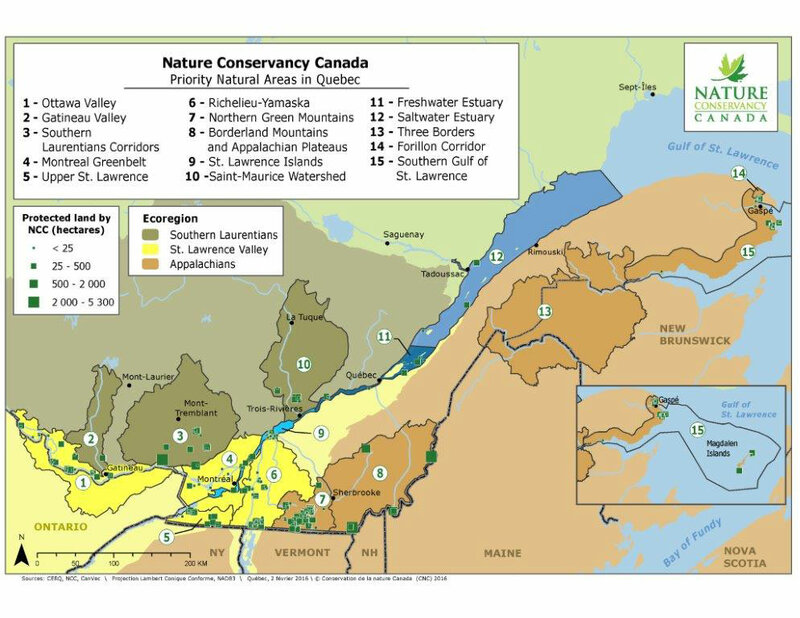 Established in 1962, the Nature Conservancy of Canada (NCC) is Canada’s leading not-for-profit, private land conservation organization. NCC relies on a network of partners who are inspired by our mission to conserve these remarkable sites and the valuable species they sustain, as a legacy for future generations. Rated a top environmental charity for eight years running for the efficient use of donor contributions (source: MoneySense magazine). NCC uses scientific methods and expertise to identify habitats and species to be protected. Careful planning ensures the future of these conservation targets. 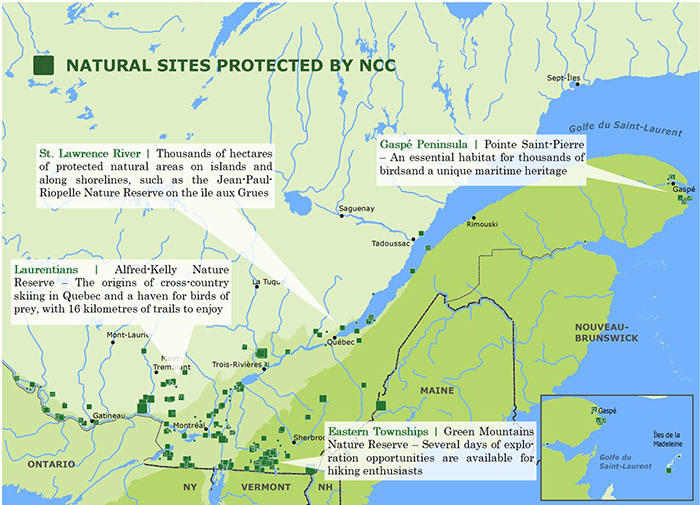 Through securement, NCC protects natural sites that are assessed as priorities. This work is made possible by an exceptional network of partners, consisting of individuals, foundations, landowners, businesses, conservation groups, local communities and governments. The sites secured by NCC are conserved through activities such as species monitoring, trail development, trail maintenance, restoration of natural areas and activities aimed at raising awareness. An endowment fund ensures the long-term management of the properties. To download this page in PDF format, click here. Connectivity, what is it exactly?